Huge GRAVEYARDS For UNSOLD CARS Are Growing Bigger Every Day! - Muscle Cars Zone! Huge GRAVEYARDS For UNSOLD CARS Are Growing Bigger Every Day! You know us, we all about cars on this website! However, every now and then we go a little bit off topic and write about something that isn`t related to racing or tuning cars. Today, we are sharing a video about a very interesting phenomenon that only a few people are aware of! 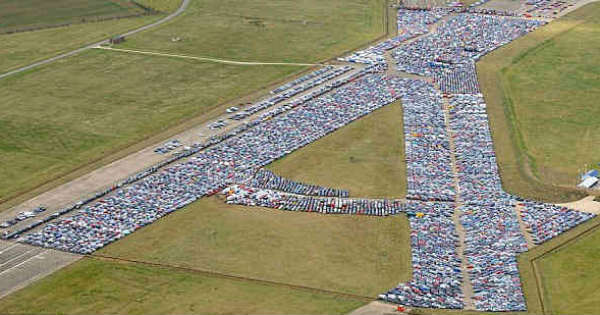 We are talking about the huge unsold car graveyards that are growing bigger every day! These graveyards are the places where all unsold cars go and where they are left to fall apart. The graveyards are normally disguised as car lots and they can be incredibly big! One such unsold car graveyard in Baltimore has over 57,000 cars on it! New car sales have steadily been declining in recent years, thus increasing the size of these car graveyards. Even though these cars are unsold, car companies will not sell them at a lower price. If the car companies decided to sell all these cars cheaply, then nobody would buy new cars! This is why these companies buy land around the unsold car graveyards and increase the area that is used to contain all the unused vehicles. All in all, this situation is quite complex. Watch the video below to see the whole story. Finally, you can report any abandoned vehicle on this link!